At Marc Berger Choice Dentistry, we have a dental team that wants to make sure that you are seen, heard, and treated with the highest level of care and attention. Dr. Berger has hand-picked a cohort of special people to help to make your visit a positive and therapeutic experience. I am a graduate of the Medical University of South Carolina. 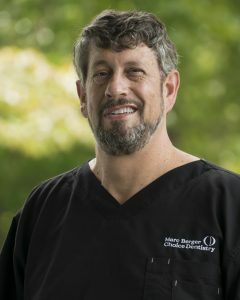 Creating my new practice has been a dream for me, and I am excited to share my unique vision of creating positive and healing dental experiences for my patients. I am the proud father of my three children, Lennon, Marlie, and Jack, and feel grateful everyday to be a partner to my beloved wife, Julie. For the past 17 years, I have served my patients faithfully, and have provided outstanding dental care for the community. 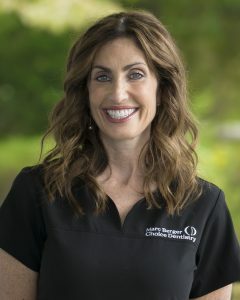 My high level of expertise, coupled with a caring approach to my patient relationships make me a clear choice for anyone seeking dental treatment. I am a graduate of Columbia College. I am uniquely positioned in the practice to be a leader for our staff and an advocate for our patients. My caring attitude and precise attention to detail makes for an efficient and smooth experience for our patients and staff. I am the devoted mother to our three children, Lennon, Marlie, and Jack, and a wonderful partner to Dr. Berger.